NEW YORK - I am writing this article with a deep sense of grief and sorrow now that it has been revealed that the Saudi journalist Mr. Jamal Khashoggi was murdered in the Saudi consulate in Istanbul on October 2. This is the news we all dreaded. While Reuters and other media outlets reported that Khashoggi had been murdered inside, Saudis authorities threw a handful of sand in the face of the international community when they maintained thathe left the consulate shortly after he went in. This Saudi denial was also debunked by CCTV. To get a grip on the issue, Turkish investigators are looking into the raison d'être of a group of 15 Saudi nationals who landed in Istanbul on two private jets the day Khashoggi disappeared. They believe this gang of 15 hit men executed Khashoggi with Islamic State-like barbarity. They chopped up his corpse into bits and smuggled it out in a vehicle with diplomatic plates, and left the country immediately after. What a tragic end for a man who went to his country’s consulate in Istanbul to get documents attesting to his divorce so that he could remarry with his fiancée. It is undeniable that the assassination of Khashoggi reveals the hideous face of Saudi Arabia. A country that enjoys the complacency of Westerner powers because of its hush petro-dollars. Will the Saudis get their checkbook to corrupt the Turkish government? This is the only way the Saudis know to sort out their problems. But in this case, they have to pay big. And yet there is no guarantee they will succeed. Khashoggi’s murder has got an international dimension. This time The House of Saud got itself into a maelstrom, and the $110 billion arms deal with the House of Trump won’t be of much help. Now that tongues ​​are loosened, some outlets have revealed that at least 15 Saudi journalists have been arrested or reported missing since September 2017. Many of the prominent female activists, such as the 29-year-old Lujain al-Hathloul, who lobbied for the right to drive, was arrested in May 2018 and imprisoned on charges for attempting to destabilize the kingdom. But now that Turkish crime scene investigators have revealed the tragic fate of Jamal Khashoggi, Riyadh is unanimously pictured as the contracting party, and the Mephistophelian Crown Prince and strongman of the kingdom, Mohamed Ben Salman, as the ringleader. The irony of ironies is that he bids himself as a reformer and a moderate! It is true that this 33-year-old son of King Salman has turned many heads in the East and the West when he decided to loosen the rigid kingdom’s social constraints, especially when he lifted the ban on women’s driving and opened movie theatres. Ever since he has been in power, MBS has resorted to the most ruthless methods against those who challenge him or are likely to get in the way of his omnipotence. This is exactly what happened to Khashoggi whose writings and stance have an undeniable impact both inside the Wahhabi Kingdom and internationally. 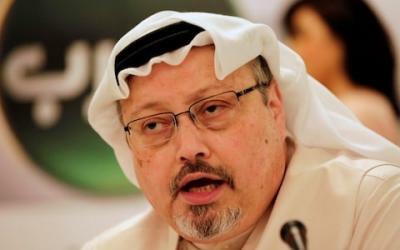 Now that the investigation in Turkey has shown that Khashoggi was the victim of a political assassination and that the perpetrators are the Saudis, it becomes difficult for Western democracies to uphold the fictitious narrative that MBS’ course of action aims at ending the era of arbitrariness and violations of human rights and freedom of expression. 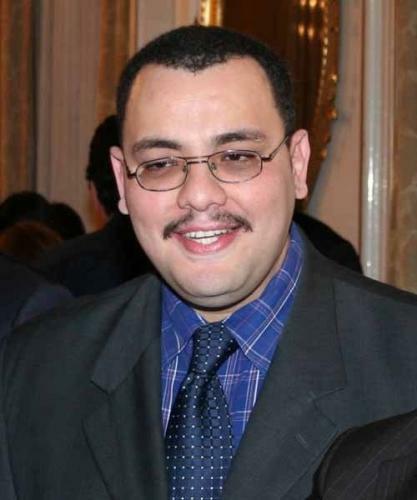 In his attempts to leapfrog the barriers of power in the House of Al-Saoud, he eliminated all his potential rivals, and carried out a brutal crackdown on dissent. Human rights activists, academics, and prominent religious leaders have been arrested. While his predecessor stifled a popular uprising in Bahrain, the Saudi crown prince Mohamed Ben Salman(aka MBS) is waging a war in Yemen that has caused a humanitarian crisis. He has also instigated the blockade of Qatar and incarcerated the Lebanese Prime Minister Hariri. The “boy king,” as David Hearst named him, is out of control and if he is not reined in, his recklessness will negatively impact the position of the US on the world scene. The Saudis are now on thin ice. Many US Congressmen said if the reports that Khashoggi was murdered by Saudi agents are confirmed, it would merit “an entire reassessment” of the United States' relationship with the Kingdom of Saudi Arabia. And Khashoggi should not be considered “a sacrificial lamb to offer the [President’s] cash cow,” they said. One has to be dim-witted to give any credit to such a ludicrous analysis. No Saudi official would have thought of cooking up such a scenario without being instructed by the current strong man in Riyadh. There are no “rogue elements” in the Saudi absolute monarchy to dare taking such a decision. It is also odd to notice that no mainstream media has yet dared drawing a parallel between Skripal the Russian and Khashoggi the Saudi Washington Post columnist and US resident. For the attempted murder of Skripal by Russia’s GRU, Russia was subjected to fierce economic sanctions after the expulsion of its diplomats. But with the Saudi reporter who was butchered in the Saudi consulate, face-saving precautions are being taken by many Western democracies. But one wonders about the reaction of Arab regimes. So far, they have adopted “the three monkeys” policy. They know it is not funny when the shoe is on the other foot. They have their own sordid record of human rights abuses, suppression of political freedoms, and muzzling of dissenters. In Algeria, for instance, there is some tolerance towards the press but with tens of activists and reporters in prison. 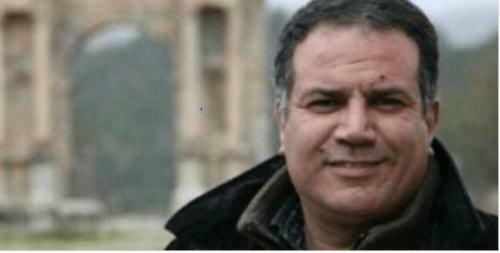 The British-Algerian reporter Mohamed Tamalt died in prison under torture, while Said Chitour – a former BBC fixer, has been rotting in jail for the last 16 months. We're afraid his deteriorating health will lead to something nobody wants. What remains of the non-government controlled Algerian civil society is trying to get him released. But so far the regime has turned a deaf ear. And it's not the first time.